Most people have a common misconception when it comes to eating frozen foods and I want to quickly dispel that myth. While on my road trip my friend who loves juicing her fruits and vegetables had to make a pitstop in Phoenix to get some Jamba Juice. You know the place where they blend up all your fruits and veggies into a liquid, or so we thought. Well it turned out after adding all our ingredients they pretty much made a smoothie instead and my friend was not happy. She kept saying this is awful and unhealthy because they are not giving us fresh foods but instead giving us frozen ones. Needless to say she was irritated and venting. Finally I told her that organically grown frozen fruits and veggies are way higher in nutritional value than fresh ones. She was shocked! But it’s true and I’ll tell you why. When ripe fruits and veggies get plucked from their vines or the ground they go through a distribution process that takes days to complete. Many of times making them overripe or losing nutrients because they aren’t being preserved. Well frozen fruits are the opposite. And just before I explain why, this doesn’t mean that the frozen section of your grocery store is all good. About 95% of it is garbage including those lean cuisine’s and everything else that is high in sodium and other unhealthy ingredients. Frozen fruits however keep their nutritional benefits because they are flash frozen. This is a quick process that retains the nutrients, fresh fruit loses because longer the fruit sits around the more overripe they are becoming. But the real problem is that people tend to buy conventional fruits that sometimes are altered or sprayed with pesticides which is where it gets unhealthy. nutrients as opposed to conventional blueberries. The same is true with other organically grown foods. This is really what you want to be concerned with. You want to get organic fruits and veggies as opposed to just the normal. Just remember that it doesn’t really matter if it is fresh or frozen foods although frozen will undoubtedly last a lot longer and save you money in the long run, so I tend to go for those. 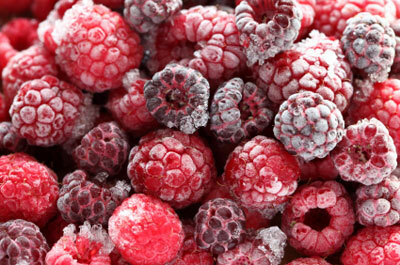 Plus there is something refreshing when putting frozen fruits in your grass fed whey protein powder smoothie. I think it really makes it taste a lot better. READ THIS —> Just incase you are really unsure about whey or just wanting to get a grip on what it is, I would recommend buying it. There is tons of articles on this site explaining why but I really can’t stress it enough the amount of incredible natural and organically healthy benefits that this contains. Pro Energy Whey Protein is the highest quality whey protein isolate on the market. It has an extremely high..
on Homework for School com Online Math Tutoring Allows!